Opener Before Your Very Eyes immediately reveals the influence of Kuti, with its scratchy afro-beat percussion recalling the image of Yorke’s absurdist dancing in the video for Lotus Flower. Indeed, it’s the danciest track Yorke has been associated with in quite some time – and an unexpectedly fun way to kick things off. 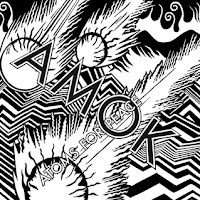 That sense of abandon doesn’t permeate the whole album, however, with things settling into the throbbing, dubstep-inspired grooves which have characterised so much of Radiohead’s recent work. It’s a rich sound, filled with some wonderful basslines (Stuck Together Pieces) and even a touch of Vangelis inspired synth which might have been lifted directly from Bladerunner (Default). Ingenue features Yorke’s best vocal: a sweeping fragile falsetto offset by the unexpectedly percussive sound of a dripping tap. There’s little here that’ll convert the unconvinced, with Yorke refusing the opportunity to cut loose and experiment a little, and occasionally losing his illustrious band-mates amidst the carefully calibrated production. 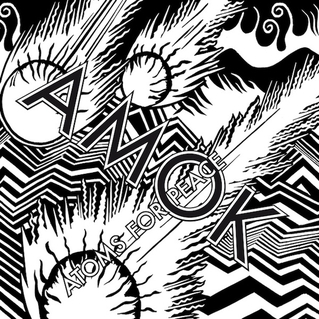 There are moments where things threaten to erupt and it’s a frustration that it doesn’t, but Amok rewards repeated listens – its intricacies only revealing themselves gradually over time. It’s not a groundbreaker, but until the next Radiohead release, it will keep Thom Yorke’s dedicated fans more than satisfied.